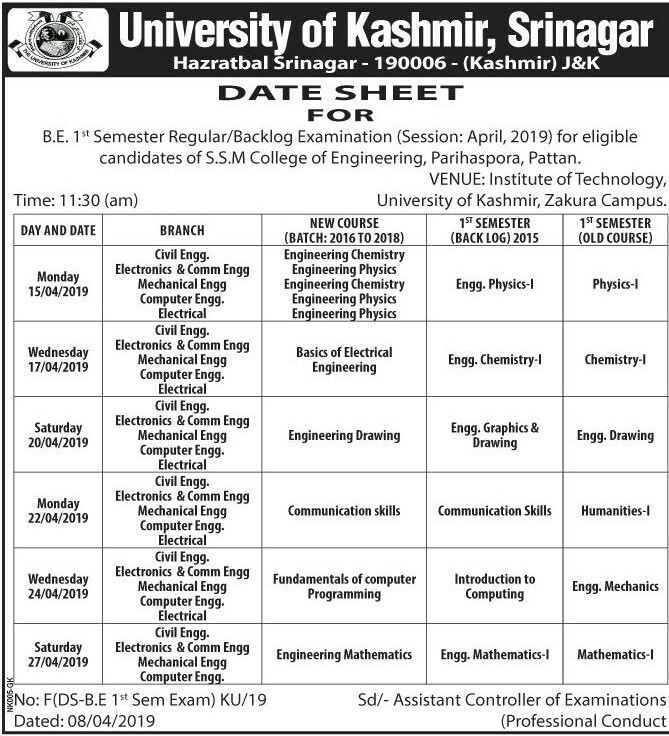 University of Kashmir, Srinagar Date Sheet FOR B.E. 1st Semester Regular/Backlog Examination (Session: April, 2019) . For eligible candidates of S.S.M College of Engineering, Parihaspora, Pattan. VENUE: Institute of Technology, Time: 11:30 (am) University of Kashmir, Zakura Campus.